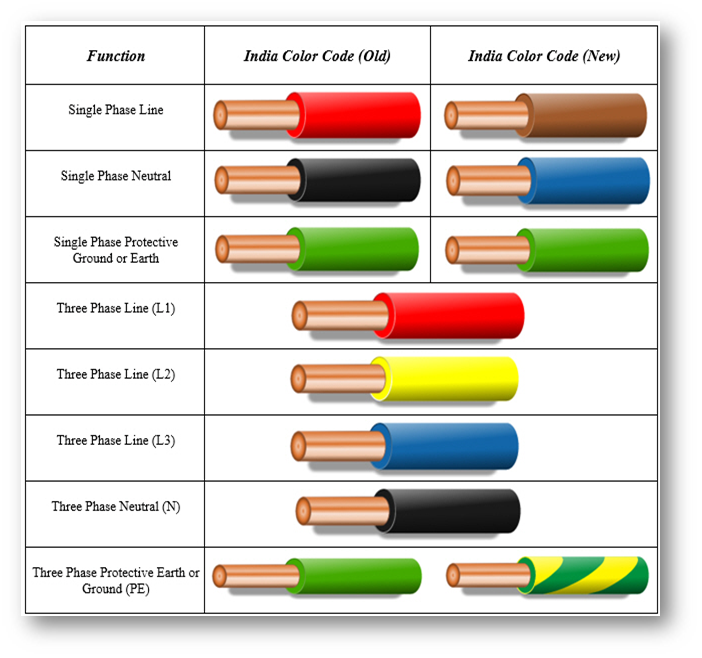 Note 1: In Australia and New Zealand, active conductors can be any color except green/yellow, green, yellow, black or light blue. Yellow is no longer permitted in the 2007 revision of wiring code AS/NZS 3000. 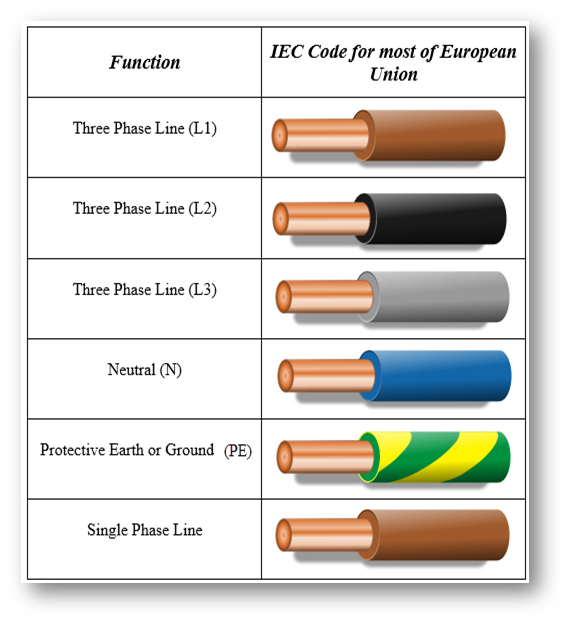 European color codes are used for all IEC or flex cables such as extension leads, appliance leads etc. 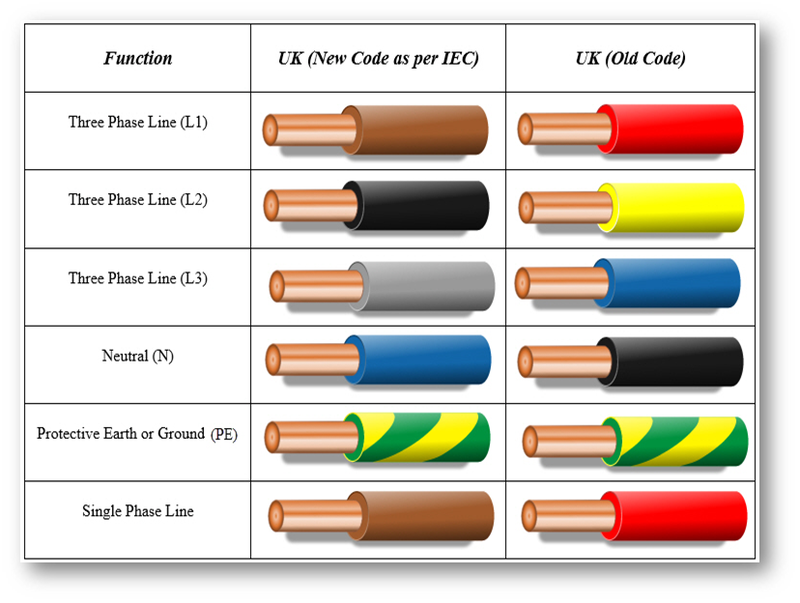 and are equally permitted for use in building wiring per AS/NZS 3000:2007. Note 3: In the USA phase colors have not been specified since 1975. Colors listed are common practice. 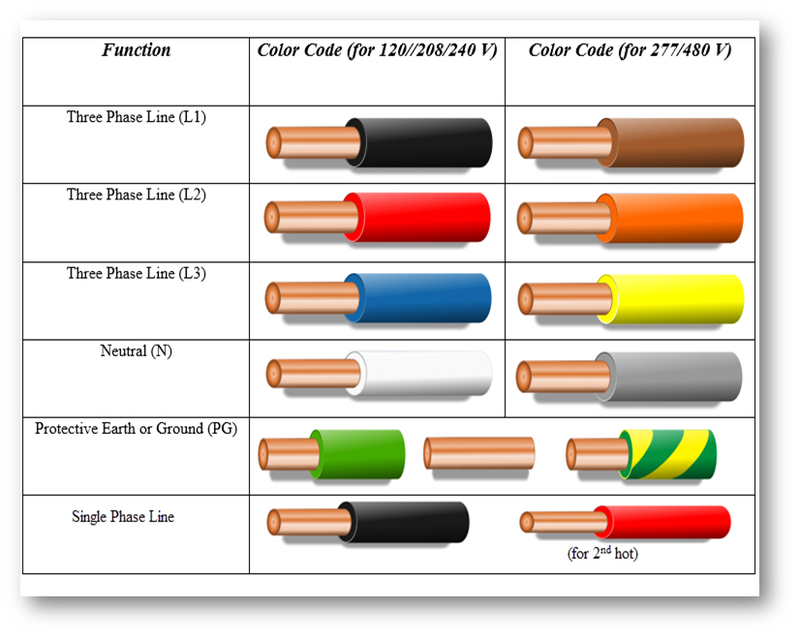 Note 4: You are allowed to run multiple conductors for phases so long as you always have all three phases represented in every conduit and every bushing that goes through metal. 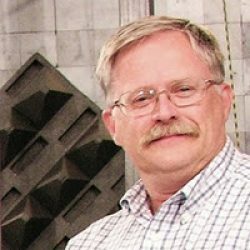 There is line frequency induction heating otherwise.